Beginning a career in permanent makeup with our Elite Artist-Trainers at K.B Pro is an exciting and educational journey! We tailor our courses to match each student’s new career choice meaning that you receive the best training to benefit you. One of the huge advantages to training with us is that you will learn with our triple-award-winning Flaxen pigment range – our second generation formulas that deliver the best results yet. 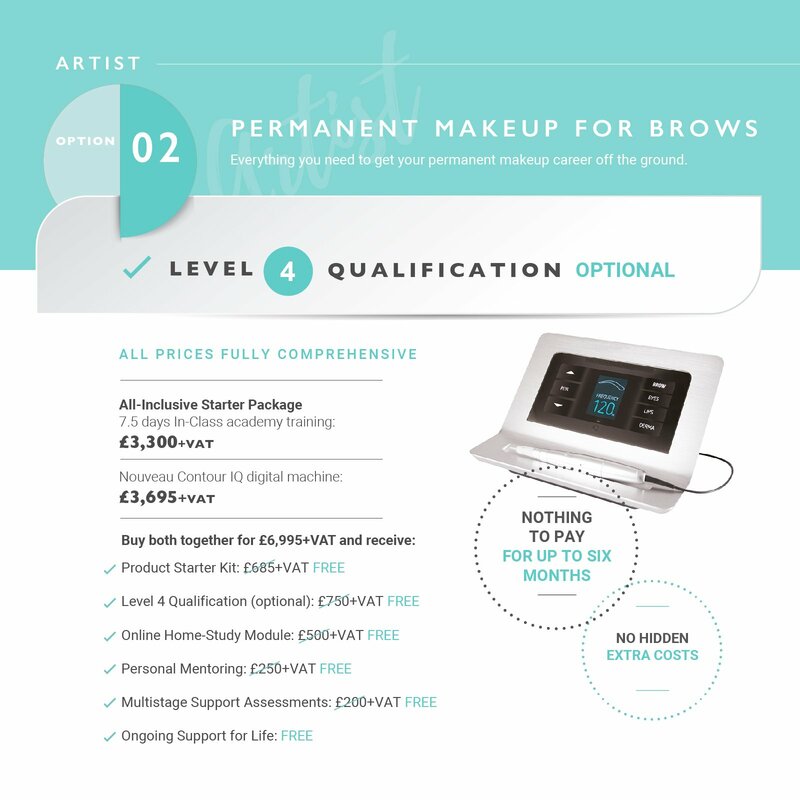 K.B Pro’s director, Karen Betts, has earned her rightful place as a legend in the permanent makeup industry thanks to her dedication to high-quality products, excellent training and the trust that her clients and students alike have come to depend on. Whether you can provide beautiful permanent makeup and microblading work for your clients depends on the pigments that you use. You could have the best technique in the world, but without the right pigments, you will never get those beautiful results. With that in mind, Karen went on to create our K.B Pro Flaxen infused pigments along with the help of our wonderful Elite Artist-Trainers. Did you know that our pigments have won the Best Pigment Range at the Micropigmentation UK Awards a huge three times? In fact, we’ve even made it to the finals for 2019’s Best Pigment Range Award too! So why does training with our pigments set you ahead of the crowd? 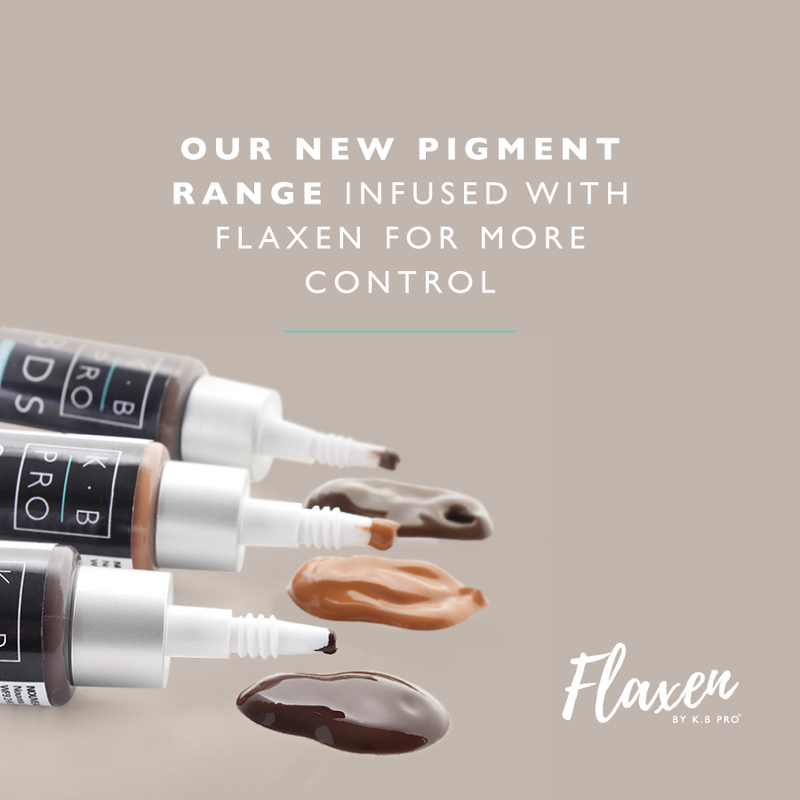 K.B Pro Flaxen infused pigments are a trusted product in the permanent makeup industry – we have thousands of successful technicians using the range on their clients every single day! Karen left nothing to chance during the formulation of the K.B Pro Flaxen range – her decades of experience have resulted in a stunning range that cannot be compared to other ranges. K.B Pro pigments are formulated with moisture-retaining ingredients that can aid your clients with the healing process. They also contain antiseptic properties. Happy clients mean great word of mouth which in turn leads to more business for you. Karen is a technician as well as an industry leader and entrepreneur – just having her name behind your training and the range that you use goes to show the level of expertise that you have been taught to. The K.B Pro Flaxen pigments were formulated to work together with our full range of clinic supplies to create the best results for our artists. Get everything you need to deliver the most perfect treatments for your clients in our online shop here.